Fast food worker advocate group Food Justice NYC launched today, and it already has 1,200 members. In recent years, the "Fight for $15" campaign has been a bright spot for fast-food workers and those looking to improve their working conditions, having led to a $15 minimum wage in places Seattle, California and New York State. But Fast Food Justice, a nonprofit group launched today, is hoping to take things even further with a new model of organizing, according to the New York Times. With 1,200 New York fast-food workers contributing $13.50 a month to the organization, Fast Food Justice says it will use its resources to push not just for a higher minimum wage, but other issues NYC fast-food workers are fighting for such as affordable housing, immigration reform, better police-community relations and improvements to the city's subway system. But while Fast Food Justice sounds somewhat similar to a union, it's actually the first of a new kind of organization made possible by a part of NYC's new Fair Workweek Rules, which took effect last November. The problem this new model seeks to address is once of resources: since Fight for $15 and the hundreds of associated groups around the country advocating for low-wage workers aren't technically unions, they don't receive the dues that would act as a steady funding source. 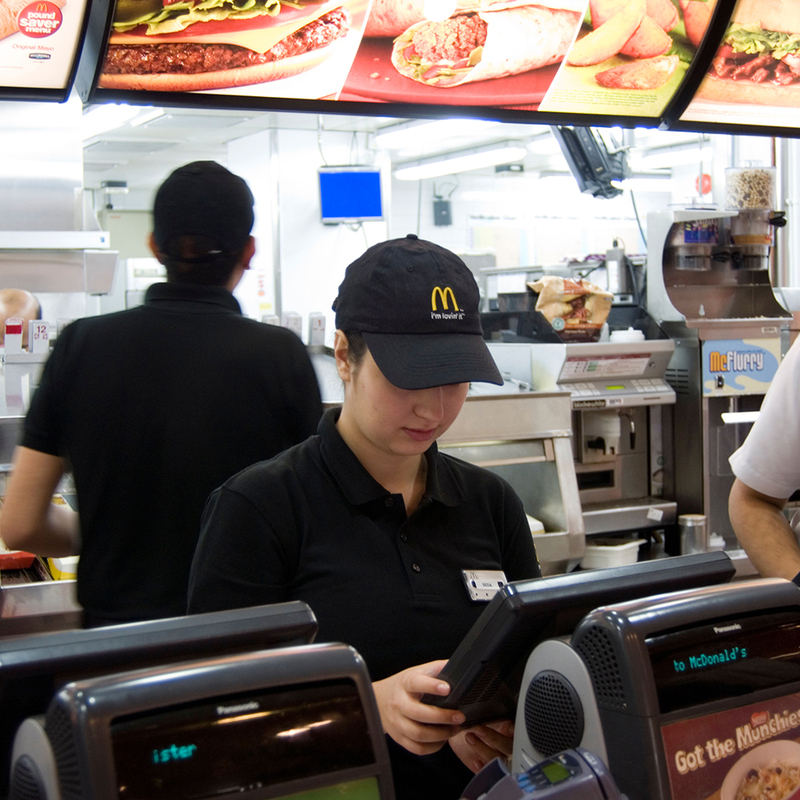 The new law, though, allows fast-food employees who want to contribute to a nonprofit, non-union workers group to deduct money from their paycheck and have it sent to the group, which could potentially solve the problem. In order to qualify under the law, the group must have at least 500 workers sign pledges to contribute, a total Fast Food Justice more than doubled. Also unlike a union, Fast Food Justice won't try to negotiate contracts, but the first-of-its-kind fast-food workers group told the New York Times it hopes to get 5,000 out of NYC's 65,000 workers to contribute by the end of 2018, which would give it over $800,000 to work with, and 10,000 by 2020. With a lawsuit filed by the National Restaurant Association seeking to overturn the NYC law making Fast Food Justice's existence possible, the future is unclear, but if its current growth continues, the group could soon become a powerful force behind counters and kitchens alike.